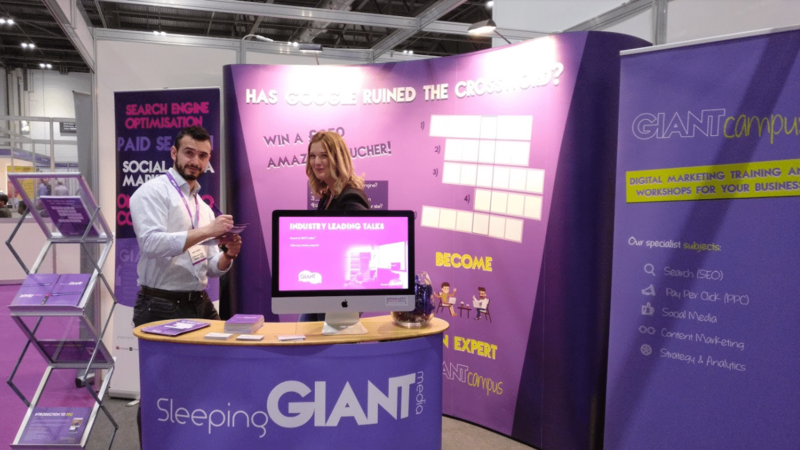 Our Giants have been busy lately, and headed to the capital to take part in the UK’s leading marketing event, the B2B Marketing Expo at the ExCeL Centre. 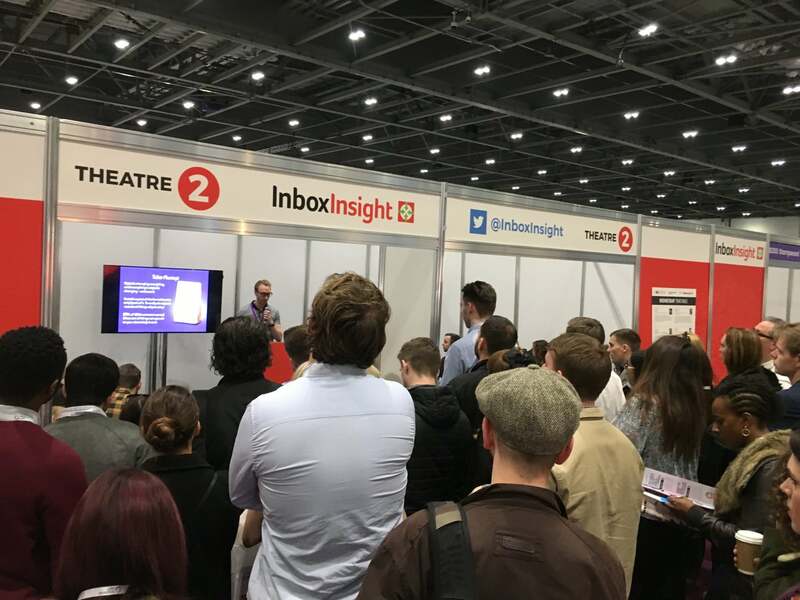 The B2B Marketing Expo is an interactive exhibition that features some of the best talent in the marketing world, and we were lucky enough to host our own marketing talks across the two days. 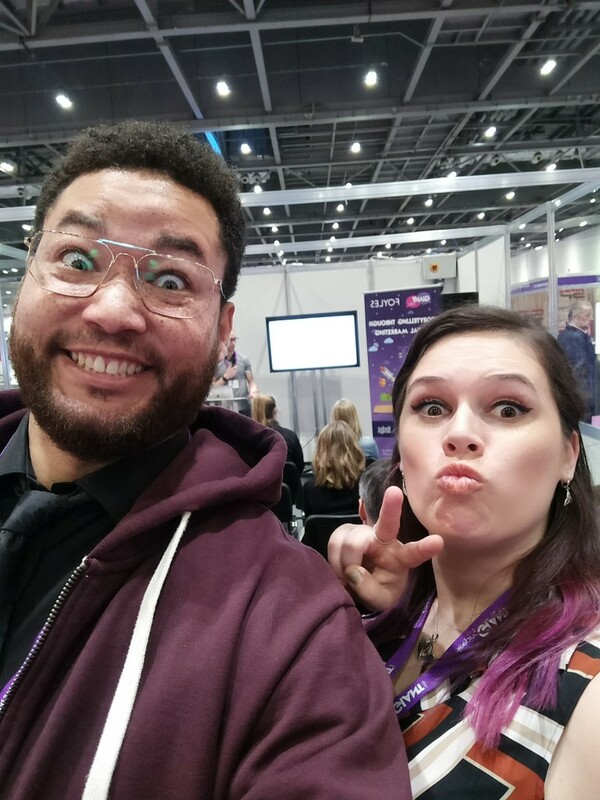 The B2B Expo saw a broad range of different brands and businesses attend our talks, from 17 year old entrepreneurs just starting out in business, to the Financial Times! With team SGM marketing holding the fort, we were happy to meet so many new and friendly faces from some of the very best in marketing. 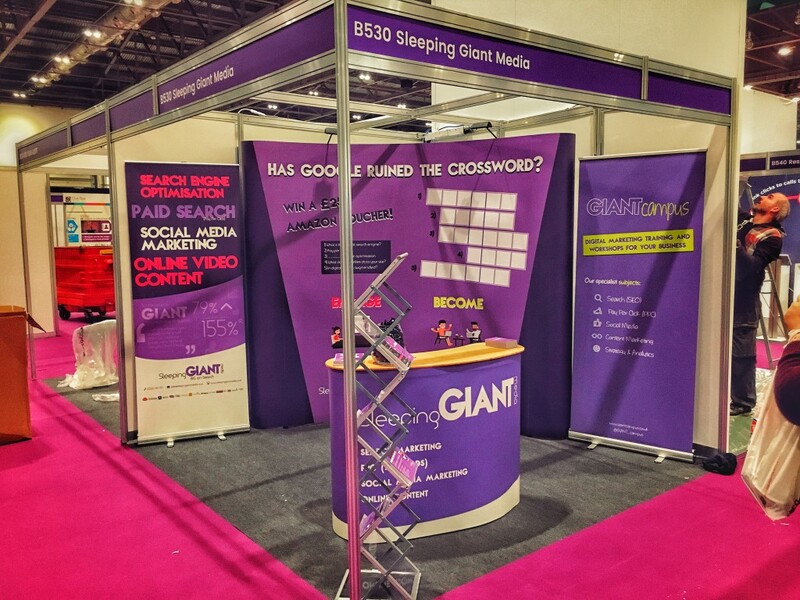 Our GIANT B2B stand asked the question: has Google ruined the crossword? Can you really finish a crossword without using a search engine? (we’ll leave that up to you to decide!). It seems standing at the GIANT stand all day can take its toll, here’s our lovely Jen trying out a massage by Fora! CEO Luke took to the main stage to ask Are You Really Doing Digital Marketing? which saw the audience overflowing (as seen here!). Luke explained how 80% of SEO is just common sense, and that digital marketing needn’t be a mystery. Managing Director Ant talked about Digital Marketing at Speed, and discussed the importance of being there in the customer moment in the era of the mobile. Ant also explained why the consumer purchasing path is now more complicated than ever before, and how you can go about understanding it. Other speakers included our very own Holly and Sam, who spoke about B2B Paid Search and User Research and Brand within Search Marketing. 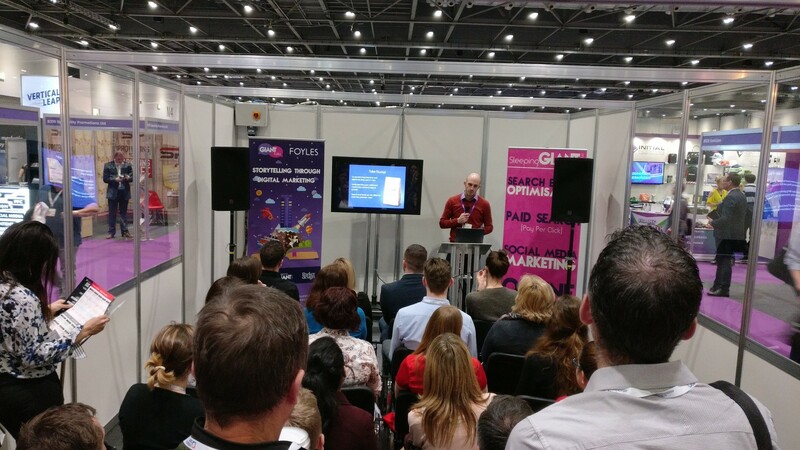 Were you at the B2B Marketing Expo? Did you attend our talks? We’d love to have a natter, so tweet us @SleepingGiantM!